Put a holiday cruise aboard Holland America Line on your gift list this season and you just might get your wish. With special all-inclusive packages in verandah staterooms and suites, travelers can leave the hustle and hassle behind and let Holland America Line spread the holiday cheer by doing all of the decorating, cooking and cleaning. Guests looking to splurge on a verandah cabin or suite can take advantage of the all-inclusive package that starts at just $1,899 per person, double occupancy. The package includes roundtrip air from select U.S. gateways; transfers between the airport and ship; the cruise fare; taxes; a Signature Beverage Package valued at $50 per person, per day; and a $25 per-person shipboard credit. All-inclusive third and fourth fares for guests in the cabin with two full fares start at $799 per person and include air, transfers, cruise and taxes. In addition to all-inclusive fares, Holland America Line offers special cruise-only ocean-view and interior stateroom fares for third and fourth guests on seven-day Caribbean holiday sailings. Making it affordable for a family of four to set sail for as little as $1,596, double occupancy cruise-only rates start at just $599 per person and reduced third/fourth fares begin at $199 per person. 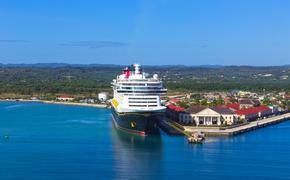 Holland America Line has six ships cruising the crystalline waters of the eastern and western Caribbean on seven-day itineraries in December 2014 that are included in the packages. Guests can sail roundtrip from Fort Lauderdale, Fla., on ms Eurodam, ms Nieuw Amsterdam, ms Noordam, ms Westerdam and ms Zuiderdam. Each ship offers two holiday sailings: one over Christmas and one over New Year’s. The ships call at a variety of ports including Grand Cayman, Cayman Islands; Falmouth and Ocho Rios, Jamaica; Key West, Fla.; San Juan, Puerto Rico; and St. Thomas, U.S.V.I. All roundtrip Fort Lauderdale itineraries include a call at Half Moon Cay, the line’s award-winning private Bahamian island known for its pristine beaches, diverse shore excursions, exclusive beach cabanas and kid-friendly activities. The only ship in the fleet sailing roundtrip from Tampa, Fla., ms Ryndam also has two holiday departures and calls at Key West; Banana Coast, Honduras; Santo Tomas, Guatemala; and Costa Maya, Mexico. Amsterdam, ms Maasdam and ms Prinsendam also will be in the Caribbean during the holidays, but those cruises are not included in the Holiday all-inclusive packages. 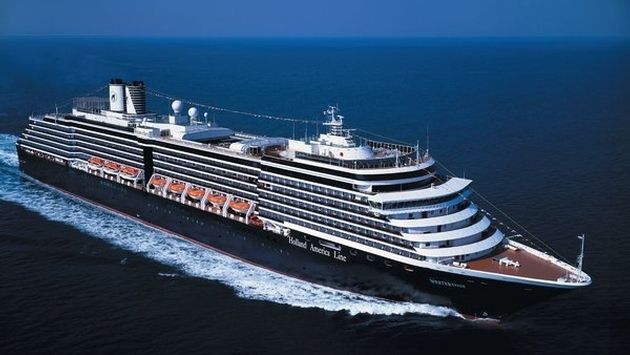 The Caribbean isn’t the only region to welcome a Holland America Line ship this season. While not part of the packages, travelers can still celebrate the holidays on a cruise to South America, Mexico & Hawaii, the Canary Islands, Far East, New Zealand and the South Pacific. Itinerary and departure dates are available at www.hollandamerica.com. During the holiday cruises, guests can take part in a Christmas tree lighting ceremony, enjoy traditional holiday meals with all of the trimmings and indulge in a special Royal Dutch High Tea with fanciful holiday cookies and pastries. The ships’ international crew chorus performs a magical holiday show, while caroling and singalongs take place around the ship. Kids will delight in a visit from Santa Claus and holiday-themed crafts. The New Year’s Eve sailings are the ideal setting to ring in 2015, featuring a festive holiday ball with a champagne toast at midnight. *Air gateways for the all-inclusive package are Atlanta, Ga.; Chicago, Ill.; Dallas and Fort Worth, Texas; and New York, N.Y. (JFK only); The all-inclusive package also is available from 21 additional U.S. and Canadian cities for an additional surcharge.